What I want to do the next two days is today talk a little bit about the notion of “tradition” and then on Friday talk about some of the specifics Jesus is talking about in this passage. Today we see Jesus talking about the tradition of the elders. We have talked about this before with the Pharisees but what is happening here is that after the Jews returned from the exile, their failure to keep the covenant was a primary motivation for them. They were determined not to make the same the same mistakes of the past. So, they set up rules and laws that the people had to follow to ensure that they would not break the law. These new, non-biblical rules became passed down as the traditions of the elders. They weren’t biblical like the law, but they became codified as that tradition. So, because of passages like this, we have become very wary of tradition. Some churches and people would not affirm historic documents like the Apostle’s Creed because they will not affirm “man made” doctrine or traditions like that. For some believers, the notion of tradition is still something to be aware of. However, for the tribe that I’m part of, the United Methodist Church, we affirm tradition as one of the ways that God affirms Himself and teaches us. So, how can we (and other) churches put validity into tradition while Jesus clearly condemns it here? There at two types of tradition. There is what I call “little t” tradition and what I call “big T” Tradition. Little t tradition is normally tied to the things that happen that local community or church. They are individual and vary from place to place. They may be good traditions, they may be bad traditions. But they are local to that place or region or time. 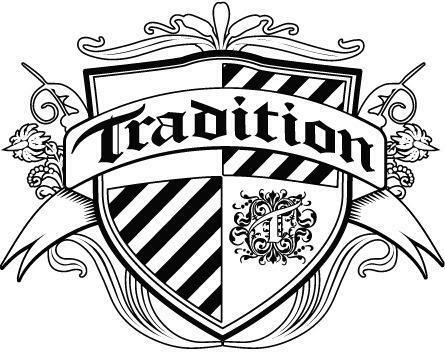 Big T Tradition is the faith handed down to us by our parents and grandparents. The teachings of Wesley, of Calvin, of Luther, of Lewis, of Aquinas, of Francis. This is the faith that has been passed down for thousands of years from the Apostles. The teaching of the Christian church for over 2000 years. This Tradition, it is very good. It is not perfect, it is not scripture, it doesn’t carry the same weight or authority as scripture, but it has much to teach us about who God is and what we believe as Christians. This tradition is very good. So, when you hear talk about tradition, be clear on what the tradition is. Is it “little t” or “big T?” Tradition can teach us so very much. May we have discerning hearts on this, and all things. Friday we’ll look at Mark 7:1-23 some more.